At “Spice of Life” through our passion for exciting, quality food products we aim to offer a fascinating and varied taste experience each time you visit our Café and Deli. We gather and select the finest ingredients and products from regional and international suppliers, using our many years of experience living and traveling overseas. On our website, we present a mouth-watering collection of foods, drinks, teas, coffees, jams and savory condiments, oils, vinegars, curries and chutneys, some of the world’s finest sweets and chocolates, cookies and nibbles, not to mention all things spice! Everything from breakfast to dessert is represented: from Byron Bay to Brazil , Maleny to Morocco. 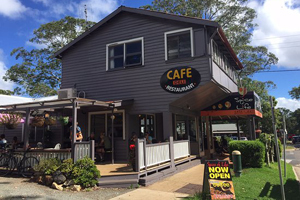 You can sample some of the world’s most interesting flavours in person (at our thriving Tamborine Mountain Café) … and now online. We stock Ogilvie jams and condiments, Fehlbergs antipasti, Brookfarm muesli and macadamia oil, Nicholsen Finishing Vinegars, Pukara flavoured olive oils and vinegars, Gourmet Spice Blend Dukkas, Lindt and Droste chocolates, Chiasso coffee and Chai teas. We have a fascinating range of books on foods of the world, complemented by virtually all you’ll need to savour them: cooking implements, coffee-makers and cups, tea infusers and teapots. Our products make fantastic gifts for the food lovers amongst us: from beautifully presented individual items to gift packs , and plenty of cooking implements to keep budding ‘foodie’ youngsters occupied! 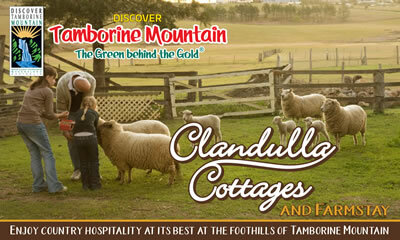 “Spice of Life” is well known on Tamborine Mountain for its catering and functions. Pop in and grab a takeaway or home-function menu, or you can download one on our website. We promise that whether you visit in person, or browse our site, you will agree that variety is indeed … the “Spice of Life”!